Part of Las Vegas’ Automotive Aftermarket Industry Week, together the popular SEMA and AAPEX shows bring together more than 160,000 industry professionals from across the world, including AAAA member companies. 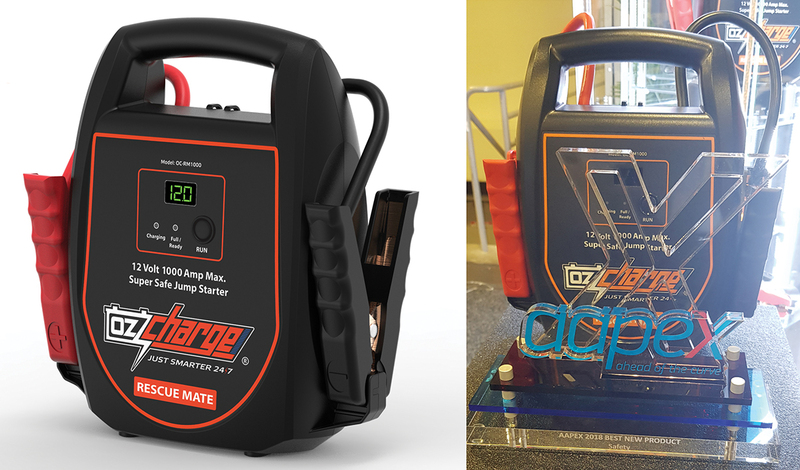 A highlight of the shows are their respective award programs, with Turbosmart and OzCharge both recognised with new product awards. Pedders USA was also recognised with Platinum Status from SEMA’s Data Co-Op as part of the SEMA show. 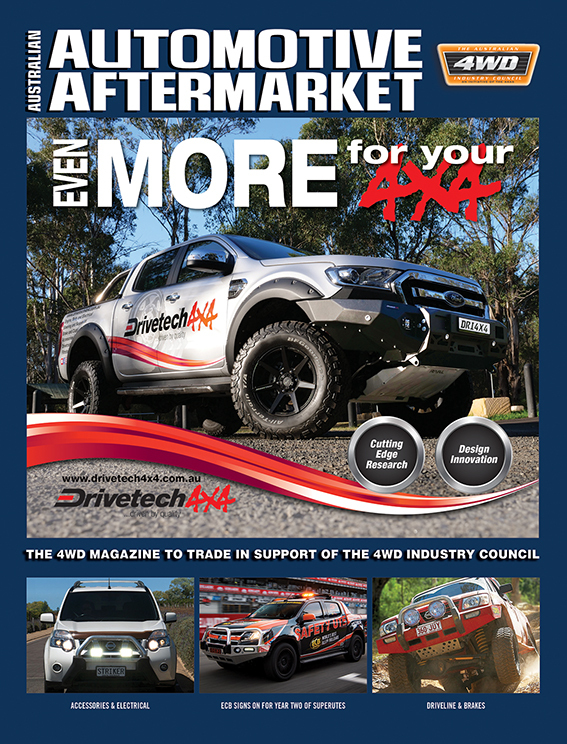 Products had to be making their debut at AAPEX 2018 to be eligible as 2018 AAPEX New Products Showcase winners, with 231 products ultimately judged and voted on by AAPEX buyers in the lead-up to the awards ceremony. “If you’re hoping to get noticed on a world stage this is certainly the event to do so with 167,000+ industry professionals from all over the globe attending,” Zylux Distribution Marketing Manager, Chris Lightfoot, said. Instead of batteries, the Rescue Mate contains super-capacitors which have the unique ability to draw the residual energy out of a flat battery. The Rescue Mate essentially trickle charges itself off the flat battery and once enough energy has been harnessed within the Rescue Mate’s capacitors, the energy is quickly released back into the battery, allowing the vehicle to rumble back to life. This unique and Australian patented technology removes the requirement to keep the jumpstarter charged up, allowing the Rescue Mate to be stored in a vehicle or garage indefinitely without ever being charged. If you find yourself with a flat battery three, six or 12 months later, you can simply connect to the flat battery, wait 90 seconds as the Rescue Mate does its magic and press run. 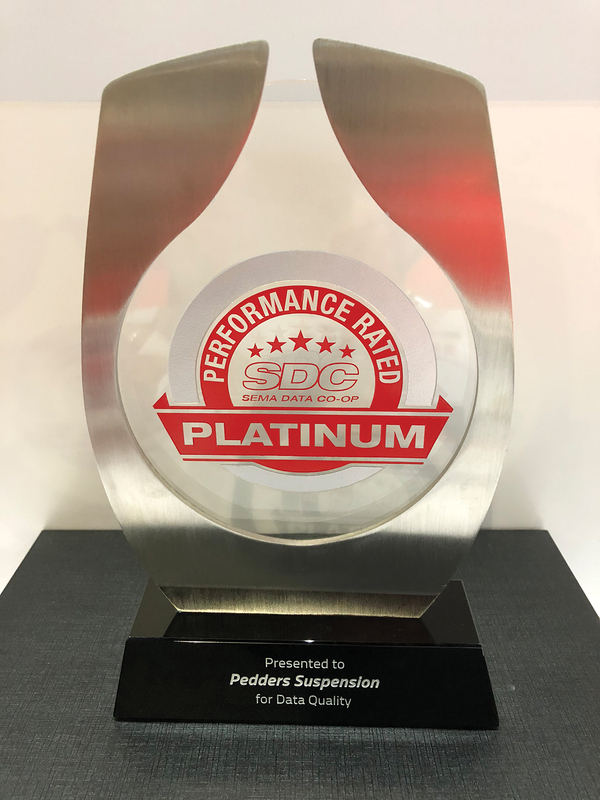 Also as part of the 2018 SEMA Show, Pedders USA was recognised with Platinum Status by SEMA’s Data Co-Op (SDC) – the highest ranking that can be achieved with the data management organisation. This status is awarded to SDC members with the highest quality catalogue and product data suitable for USA catalogue applications. Pedders explains that it offers thousands of parts for hundreds of vehicle models in the USA and is a world-wide leader in aftermarket shock absorbers, steering, suspension and brake components. The company says it knows how important it is to provide the most robust data in an efficient manner to customers and states that achieving Platinum status with SDC means it has provided every applicable data field in the SDC score card. Platinum data provides nearly 60 PIES fields (product) and ACES data (application and fitment), making it a complete set of descriptions, images, videos, tariff codes and sales metrics. This data makes it easy for retailers to create impressive and informative product listings and these listings allow the consumer to gain a full understanding of what they are buying and how it will benefit them. According to SDC, end-users of the data are more likely to build listings from platinum suppliers than from suppliers with a lower data status. “I’m so proud to have been able to achieve the platinum score card level with SEMA Data Co-Op with just over 12 months of data resources to build this platform. This speaks to the level of commitment that the Pedders USA Group has shown in providing consistently high-quality data to their receivers. Great data is a journey and beginning at Platinum level is a fantastic way to start,” Pedders USA’s Daniel Tong said. 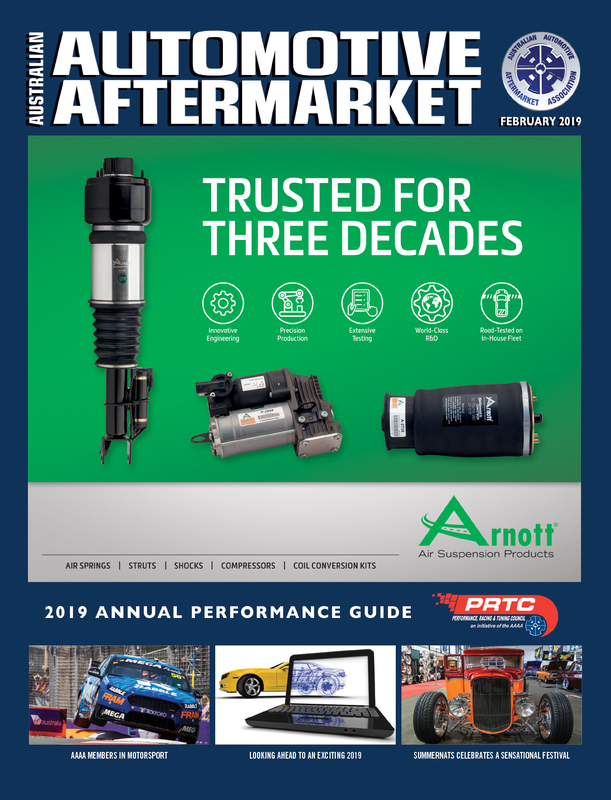 A panel of automotive professionals selected winners from 3,000 new products based on a variety of factors that included superiority of innovation, technical achievement, quality and workmanship, consumer appeal, marketability and more. 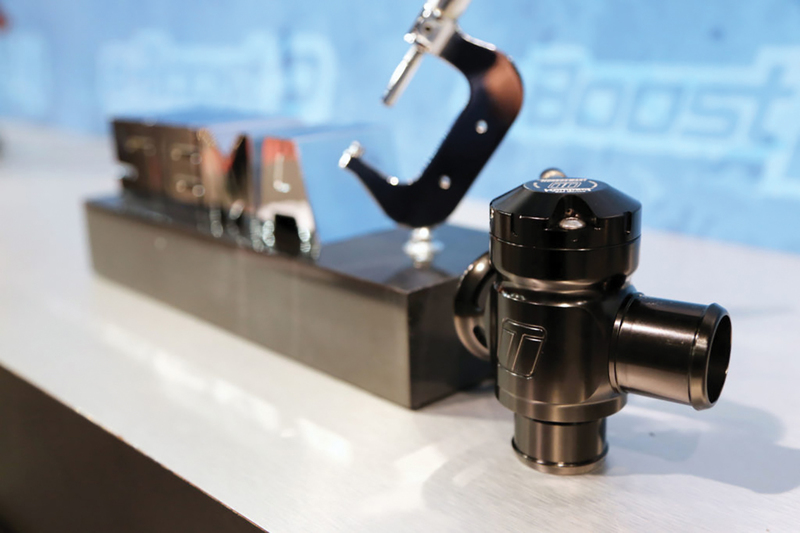 Turbosmart’s patent-pending Kompact Electro Mechanical Blow Off Valve was amongst the winners, recognised as the best New Performance-Street Product by the SEMA judges. 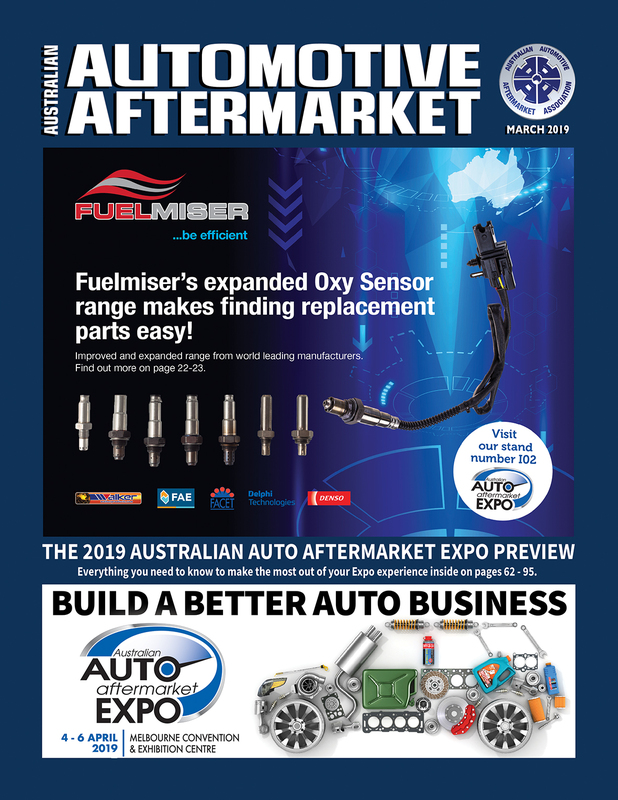 “We have been doing this for a very long time, and we have received a lot of recognition from the people at SEMA over the years with a number of different awards, but this is something truly special and a huge honour,” Turbosmart Founder and Chief Executive Officer, Nic Cooper, said. Due to the existing patent-pending electronic actuation technology, the Universal Kompact EM-BOV allows for seamless integration into vehicles which require actuation of the BOV to be controlled via the engine ECU without compromising flow or performance. The new universal Kompact EM range flows at higher levels than existing compressor cover solutions and provides an alternate option where hybrid turbochargers demand more flow to prevent the compressor falling into surge with rapid load changes. The all billet construction and high-temperature seals allow for a leak-proof design which Turbosmart says will provide excellent results in all conditions. The body features a modular design where multiple fittings and ports can be swapped to make the unit as expendable as possible. Four equispaced bolt holes are located at the base of the body to allow for bracketry to be implemented and expanded and the units are available in Plumb-back, Dual port and Supersonic variations.